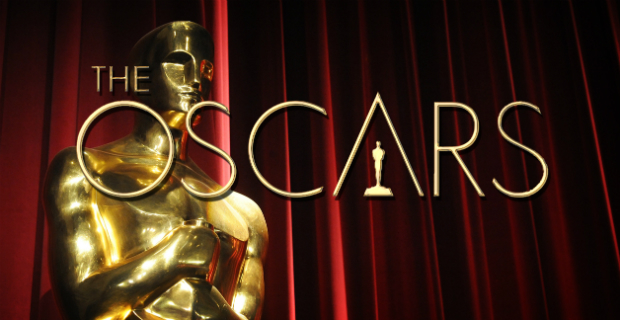 Now that the Academy Awards for 2015 have been given out, we got to thinking about what films were either snubbed completely from a nomination, or barely edged out in winning certain categories. There is never any shortage of complaints in this regard, so what’s a few more right? Here are a few films we felt were snubbed in some way or another. If there’s one film that should have gotten recognized at the Oscars and wasn’t, it’s Snowpiercer. The post-apocalyptic film was phenomenal not just because of its creative approach and Chris Evans as the protagonist, but because of a wonderful villain played by Tilda Swinton. The actress did what it’s so difficult to do in film: she made me forget she was an actress. Despite me knowing who she was, all I saw was her brutal, selfish, prideful villain that was all too real. Tilda Swinton should have gotten an award for best supporting actress. She was snubbed. (Note: Snowpiercer is officially listed as a 2013 film, but its full American release was not until 2014). Birdman won Best Picture last Sunday; and I have to admit there is much to appreciate in the film, artistically speaking. It is an excellent blend of surrealism, existential angst, and social commentary. Much that the film has to say speaks to my own convictions about celebrity and culture. Some does not. Here is the thing, though: the film, for all its virtue does not outshine American Sniper for a couple of reasons. First, while Michael Keaton’s performance as wild-eyed Riggan Thomson is very good, Bradley Cooper’s portrayal of Chris Kyle is much more layered, subdued, and, thus, authentic. Second, as a soldier struggling with the horror of war, the story of American Sniper holds more social relevance and emotional gravitas than Birdman. Sure, we want Riggan to see past his narcissism and ego to repair his relationship with his daughter and, perhaps, his career; but not as much as we want to see Chris Kyle return from four tours in Iraq to his wife and children and turn the corner, as it were, on the emotional struggles that came back with him. Sorry, Riggan, you’re not as interesting or as important as the story of a great American hero, even if you were portrayed by the great Michael Keaton. In my opinion, American Sniper was thoroughly snubbed last Sunday. I had a goal of actually seeing all the Best Picture nominations this year before the awards ceremony, but once again I felt short. Thankfully there are a few categories dealing with technical aspects in which I have seen all or nearly all of the films and can form an educated critique of the nominees and the winners. One such category in which I feel a film was snubbed was Visual Effects. The winner there was Interstellar, and I totally understand why someone would vote for that. The sheer… largeness (is that a word?) of what is accomplished visually is impressive. But what’s more impressive is being equally beautiful and real with something up close and personal. Dawn of the Planet of the Apes accomplished exactly that with its motion capture technology. It’s difficult enough to make human beings look real with CGI, but when you can do that with apes and make their hair moving in the breeze, that is deserving of some special recognition. Dawn of the Planet of the Apes absolutely should have won the Oscar for Visual Effects. There you have it. What are some films that you would’ve liked to see get some more recognition?